Well....once I get started coloring the crazy birds, I JUST CAN'T STOP! I had this fun print and cut image that I had die cut with my Silhouette Cameo. It was just laying on my desk begging to be used. So I grabbed a crazy bird that I had already cut out and decided the two might make the perfect pair. 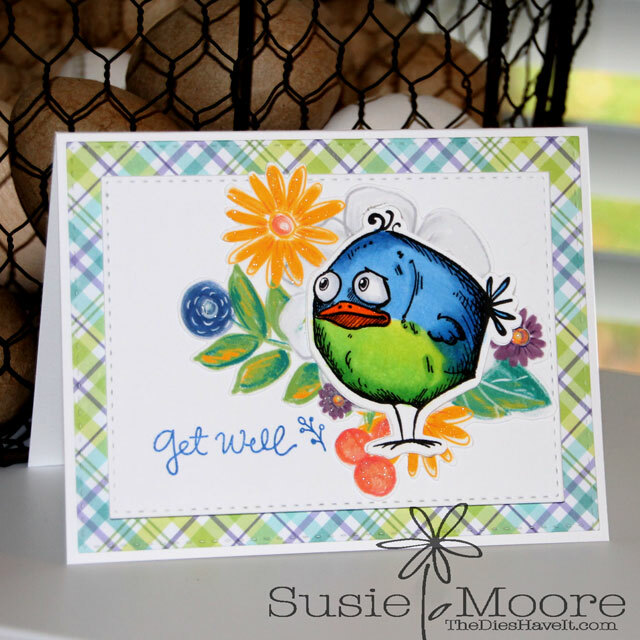 I colored the bird to coordinate with both the paper and the floral spray and I think it IS a match made in bird heaven! Enjoy your day...and be a bit crazy.....it works for the birds! Super cute!! Love the colors and the bird is fabulous!